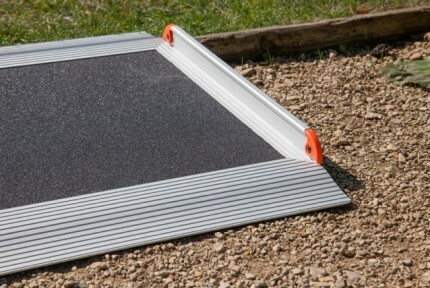 No Fold Premium Ramp Extra Wide With Anti Slip Surface. 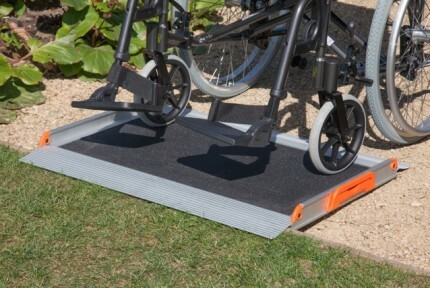 These non fold premium ramps are full width with an anti-slip surface and are extra wide to accommodate even large chairs and scooters. The handles lock flat making it more compact for storage. 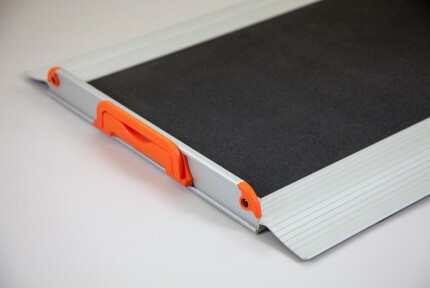 They have universal head and foot ends featuring rubberised anti-slip grips, great for use on slippery or smooth surfaces and offers protection to tiled or wooden surfaces and thresholds. Universal head and foot ends, featuring rubberised anti-slip grips; great for use on slippery or smooth surfaces and offers protection to tiled or wooden surfaces and thresholds.